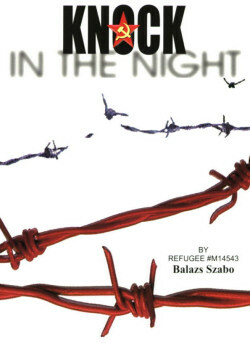 Book Highlight: Szabo, Balazs, "A Knock in the Night"
Balazs Szabo, is a world-renowned artist and "1956 refugee #M14543." In the aftermath of the bloody Hungarian Revolution, the Szabo family was under Hungarian AVO house arrest. On November 20, they fled toward the Austrian border. This is the story of a little boy during those difficult times. "This amazing book is about a life that most of us have never known and will (hopefully) never know! It tells a true tale reminiscent of Anne Frank's about a young boy growing up in Hungary during the Soviet occupation. One cannot help but draw parallels to the oppression that has existed for many throughout the world and throughout Man's history. We who choose to look away share the responsibility for the suffering that is caused. We who choose to pay attention find that even in the darkest of times, there is hope, beauty and love. This book shows that regardless of the hardship, there are those who survive and use their life experiences to give them strength, determination, and victory. Written in a manner that is simple and heartfelt, the author delivers a riveting tale that is both horrific and beautiful. Its beauty lies in the knowledge that in the midst of inhumanity, there are those whose spirit and love for each other continue to survive. The book's sincerity of style provides the realism that one cannot question. The reader understands from the very first page that this is the work of an extraordinary person who has carried indelible memories of human suffering, carnage, and sacrifice. To read this is to understand the potential for evil within a society that has fallen victim to dictatorship. As I turned the pages repulsed and yet spellbound I found myself asking, "How could this have happened?" Then I thought of reports from other countries and other atrocities committed upon innocent people. I considered this for a moment and thought that a book like this should serve as a wake-up call to humanity to remain vigilant in protecting those who would otherwise suffer the same fate as so many who are subjugated by cruel and powerful bullies." Buy now on the AHF Amazon Store! 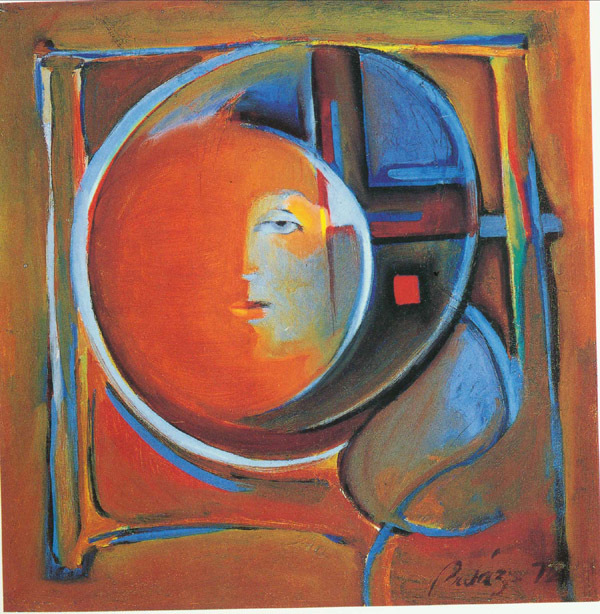 Balazs Szabo, is a world-renowned artist and "1956 refugee #M14543." In the aftermath of the bloody Hungarian Revolution, the Szabo family was under Hungarian AVO house arrest. On November 20, they fled toward the Austrian border. The turmoil of WWII and the Hungarian Revolution and their impacts on him and his family influenced Balazs, the younger son of one of Hungary's most celebrated young classical actors Sandor Szabo, greatly. Balázs and his family fled the country separately during the 1956 Revolution and were reunited in America. He has written a historical memoir about his dramatic escape from Hungary "A Knock In the Night." Balázs Szabo's career, first in commercial art and later in fine art, has taken him all over the United States from Hawaii to Connecticut. While the artist currently resides in Raleigh, North Carolina, his experience of living under communist oppression resonates with many different ethnic groups who have shared similar circumstances. It is this perspective and his childhood, spent in the midst of artists and actors, that give him a unique vision of the world. At the age of 23, Balázs was commissioned to paint a portrait of McDonald's hamburger king Ray Kroc. Along with portraits, he has done numerous murals in public buildings and businesses from coast to coast. His works are in museum, corporate and private collections. Balázs paints in a variety of styles, but is known in particular for his "fantastic realism" style, which draws its inspiration from the Flemish master of the 15th century, Hieronymous Bosch and the Surrealists Salvatore Dali and Max Ernst. His true love is Surrealism. "It is my music. It's more expressive, intellectual and emotional." It's "my personal poetry," he says. His father, Sándor Szabó, who learned English within a year, became the best known actor of Hungarian descent on Broadway and went on to a prolific career in film and television. His book "Országom, Visszanyertem én..." chronicles his escape from Hungary in 1956 and his life in New York and Hollywood. See his filmography on IMDB. Balazs joined AHF in May 2006. To help AHF with fundraising, he donated his memoir as well as his award-winning artbook featuring a 3-D, gold plated cover, "The Eye of Muse" for the AHF May Gala in Washington on May 20th. We honored to have him with us! Visit his official site and order "The Eye of Muse" or commission his work on www.balazsart.com. Buy now on the AHF Amazon Store!